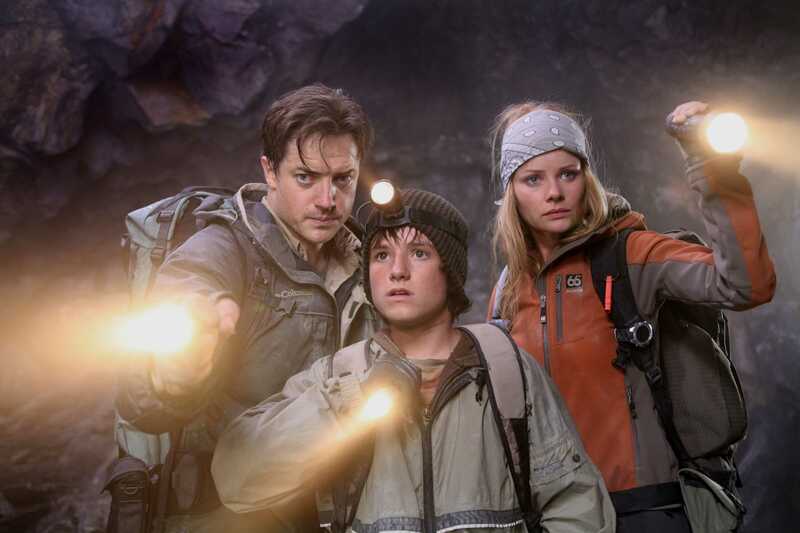 Cast : Brendan Fraser, Josh Hutcherson, Anita Briem, Seth Meyers, Jean-Michel Pare, Jane Wheeler, Giancarlo Galbatiano. Synopsis: A scientist, his nephew and a young woman journey to the centre of the Earth, encountering all manner of adventures along the way. Review : Two dimensional plot and characters evoke a B-grade film mentality here, leaving plenty of room for the spectacular effects and action to take pride of place. Charming, action-lite fare is focused on the younger viewers, who will lap this up much the same way 80’s kids did The Goonies or Flight Of The Navigator. Fraser does his square-jawed best, and the effects are generally above average. A good-natured night in. This title-only remake of the original sci-fi classic, in which a group of explorers find their way to a hidden world at the center of the Earth, is actually pretty good. 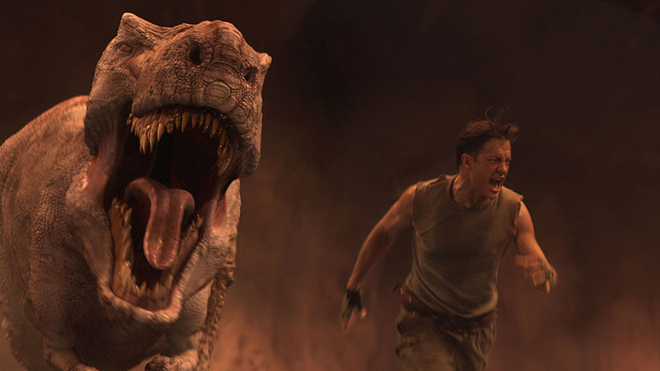 Brendan Fraser is fast becoming the modern era’s Harrison Ford-esque action star, with appearances in this, the Mummy flicks, and several other “adventure/effects” movies in recent years. There’s a lot to be critical of in this film, it must be said, but if you can suspend your disbelief at the most incredible flights of fancy, you’ll thoroughly enjoy it. So, what happens when the batteries give out? Presented in 3D in cinemas, I was unable to watch the 3D DVD version we obtained here at the office, mainly because it makes my head ache. So I watched the regular, 2D version instead. Okay, that’s cleared that up. 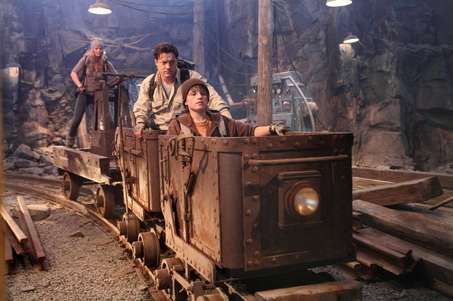 Journey To The Center Of The Earth is all out action/adventure, a mystery of minimal proportions ramped up to 11 with the insertion of numerous sequences of peril. There’s very little logic or scientific accuracy here (perhaps going against Jules Verne’s ethos!) 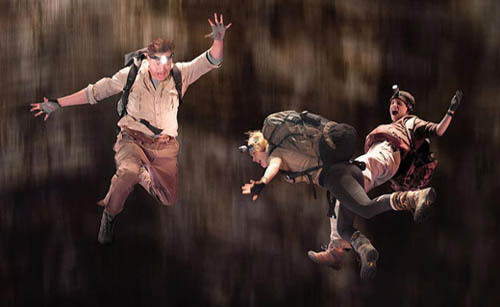 but this is not really the point: the film is all about the breathless adventure, and does it’s best to skip over a whole slew of character development and get right to it. Trevor Anderson (Fraser), a vulcanologist at a Boston university who is about to be kicked out due to his “crazy and fantastical theories”, discovers that one of his research buoys has come back online after a period of silence. His nephew, Sean (Josh Hutcherson) is dropped at his place for a 10 day stay, much to Trevor’s frustration. In order to keep his job at the University, Trevor takes off for Iceland, where the buoy has become active around an extinct volcano, Sean in tow. Together, the two encounter the daughter of one of Trevor’s fathers associates, Hannah (Anita Briem), and begin their journey into the volcano to find out what’s been going on. Thus begins their adventures beneath the surface of the Earth. Whatever happened to Alice, do ya think? The story is only loosely based upon Jules Verne’s classic novel of the same name, although here the story lacks genuine characters. Trevor is the requisite scientist who has a unique understanding (although in this case, a particularly niche one) of the scenario the film wanders into. Sean represents the younger viewers, the audience the film is marketed towards, and so he does some of his own heroic, character building stuff along the way. Of all the characters, Sean grows the most. And Briem is along as something pretty to look at. Director Eric Brevig knows just what the audience wants here: they want a great adventure, not a high drama. 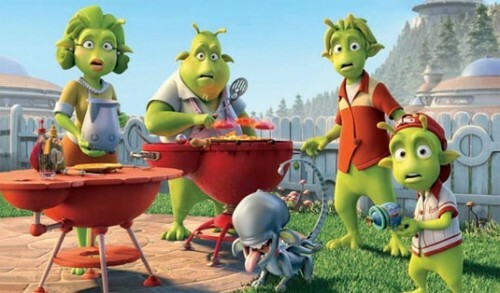 Consequently, none of the actors in the film get too much to do dramatically, instead having to scream, squeal, look frightened and run around a lot. Everything imaginable is thrown at them, from gaping chasms and fracturing crystal floors, to very hungry dinosaurs and amazing aquatic life in an underground ocean. Brevig keeps the pacing up, the rational logic low, and the production values slick. Occasionally, the film delves into George Lucas green-screen land, becoming a little bogged down in it’s own cleverness, but overall, it’s negligible. Do you think Mr Spielberg will mind if we borrow his idea? Brendan Fraser’s chemistry with his two co-stars is excellent, if a little flat. Fraser doesn’t get far out of his Mummy movie-persona, an indication that his ability to morph into alternate characters is indeed limited. Perhaps his continual choice of Indiana Jones-clone film roles has retarded his ability to, oh, act out anything other than square-jawed hero? It matters not, however, as Fraser and Co chew through this films gargantuan adventure storyline with abandon. Hutcherson delivers a great performance worthy of a teen star, little nuance and plenty of wide-eyed enthusiasm. Personally, I think he did better in The Bridge To Terabithia. Their female co-star, Anita Briem, delivers a delightful portrayal of a young woman. Which isn’t hard, because she is one. 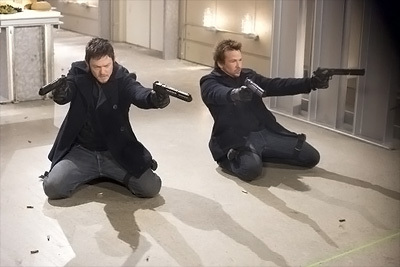 Together, they do just enough to keep this film from being a character-less mess, although only just. I ask again, do you think Mr Spielberg will mind if we borrow his idea? Journey isn’t the greatest film ever made. Not by a long shot. But it is entertaining, if only on a superficial level for an hour or so. If that’s all it intended to be, it’s succeeded well. As a simple, pleasant way to kill some time, Journey will satisfy. For anybody looking for something other than an effects film, you’ll be wasting your time; otherwise, you’ll enjoy this journey. Quick ramble on the new Doctor Who! Depends on your tolerance for logic-free filmmaking, I think. Given that one of my favourite films is Armageddon, I'm more likely to score a silly effects driven film higher than most!